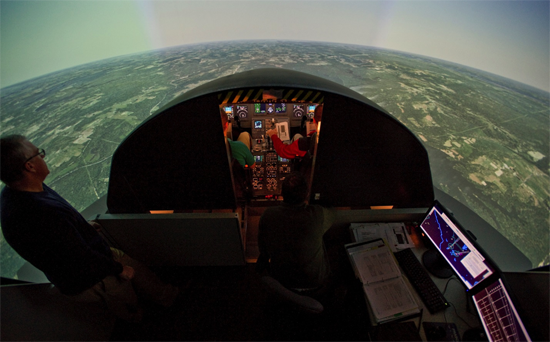 The Transportation Education Center officially opened in the Fall of 2012. 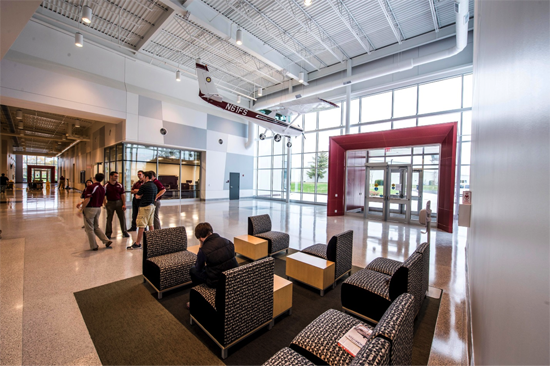 As you enter the building, a vintage Cessna 152 hangs from the ceiling. 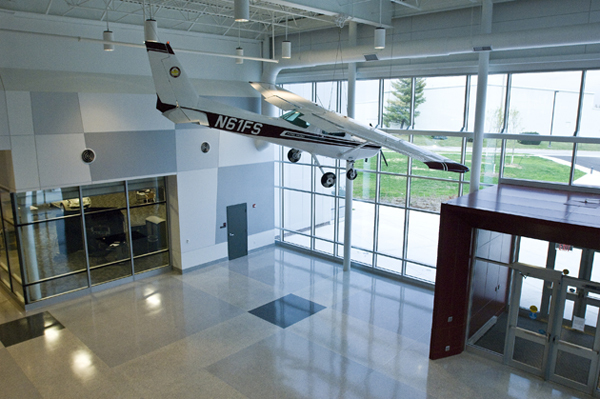 It is one of two airplanes specially painted in 1982 to celebrate six first place finishes at the National Intercollegiate Flight Association's National Championship for the Flying Saluki's.